"Notes From the Road: Geneva"
Appearing on stage in Suisse romande for the first time in their 40-year career, Bruce Springsteen and the E Street Band instantly set the famously neutral Swiss crowd alight. Belting out the opening vocals to “Shackled and Drawn,” the 30,000-strong audience sang with the intensity of a group twice their size. 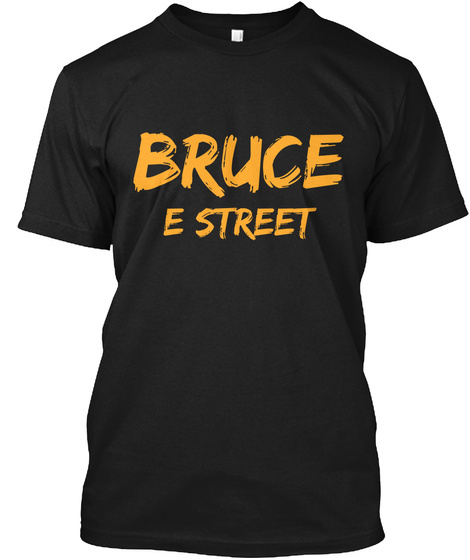 From the moment the E Street Band kicked in, allowing Bruce to do his favorite power march, people danced and — in a country of enormous wealth — sang the lyrics of the “poor boy” in a “world gone wrong” with conviction. Feeding off this energy, as request signs were taken — including The River favorite “Out in the Street,” which had Bruce running the whole length of the stage multiple times — and following a ferocious intro to “Because the Night” by the great Nils Lofgren, the stage went dark, and a surprise followed. “We have some folks who follow us and follow us throughout Europe. They move from fans to… almost stalkers,” Bruce laughed. “Not quite! This is for one of our great fans.” As he revealed the sign for an “obscure” song “originally cut for The River,” those fans screamed as the delicate intro to “Frankie” began. With Bruce playing his guitar as softly as he did in 1980, singing with an air of mature reflection, not even the falling rain could detract from Geneva Stadium’s warm glow. “Frankie” ended with Bruce handing his harmonica to the father-daughter duo who requested it, and the words “lately I’ve been standing out in the freezing rain” rang true. With that rain intensifying, Bruce pulled out another harmonica and converged with Stevie at center stage to begin “The River.” Elated applause greeted the song before the crowd fell quiet. How anyone can make such a heartbreaking song sound so beautiful is a mystery only answered while 30,000 people stand in silence as Bruce’s falsetto takes the song to ethereal levels. With the main set powering towards its climax, “Land of Hope and Dreams” was very poignantly dedicated to Nelson Mandela. The encores opened with a rare, intimate performance of “The Promise” by request, played by Bruce alone on the piano, in a pool of blue light on an otherwise dark stage. When Roy Bittan returned following Bruce’s performance, he gestured to the crowd, smiling, in recognition of how far Bruce’s talents extend. Following “Tenth Avenue Freeze-out,” the E Street Band leapt into “American Land.” Creating a real party atmosphere, the crowd and the band all sang along here in the heart of the continent from which so many of America’s first immigrants came. With key changes, and Bruce leading the band down to center stage, the song gathered pace and escalated wildly. E Street said one final farewell before Bruce returned himself in now familiar but much loved fashion, with an acoustic guitar and harmonica. Closing the night with “Thunder Road,” he shouted “Merci!” before ending a 26-song set. While not a long performance (by the E Street Band’s recent standards), the energetic and emotionally intense three-hour show left everyone in a joyous — and damp! — daze.